3-D projects have never been easier! Easily mold into any form. Paints easily and can be air-dried. Won't stick to skin or carpets. Crayola Model Magic is a great craft tool for kids. We make lots of things at our museum with clay. 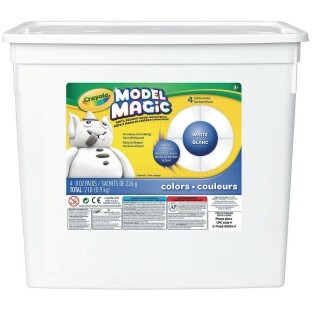 Model Magic is great to use because the white color takes paint well and it is not greasy on hands or the tables. It is the only kind of clay we use. Purchasing Model Magic was such a good buy. Model Magic has made it so much easier for my Art Teacher to allow her children to be creative. It is so easy to use and not messy. as an art teacher this product is great for very creative sculptures that can be painted when left to dry about 1 week later. Great clay alternative. Versatile enought to make both sculptures and pottery not reccomended for food surfaces. Easy to clean-up non-sticky. Great to dye with markers/food colors and easy to add gems sequins and other sparklers as well as other found/ non-art materials such as pencilsetc... Really nice texture to work with and even nicer texture when dries. A! Kids and teachers love this stuff!!! I dropped off an SS catelogue and asked my daughter's before school care teachers to pick out some donations for their arts/craft table that they do every morning. They jumped at the chance to get this modeling clay. 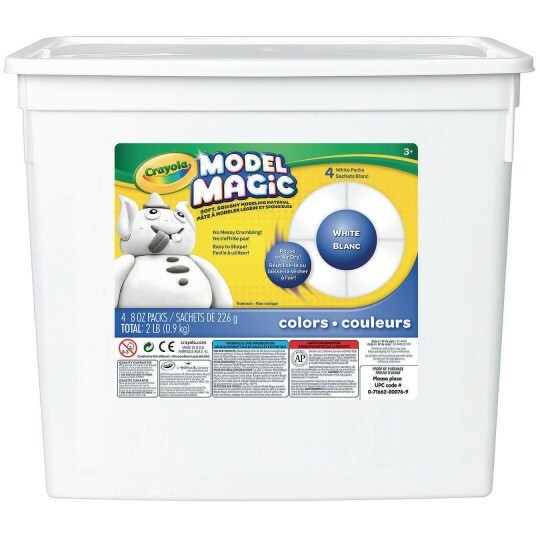 It works great and when it hardens the kids can paint their creations. Easy to work with easy clean up are plusses and this comes with chunks of clay in individual packages for freshness. Very well done. Highly recommend.